Q. How much are membership dues? A. Dues are $17.68 per month. 9.132% of monthly dues will go toward political action to help elect lawmakers who value public services and the employees who provide those services, but you may opt out of this contribution. Q. Is TSEA a Union? We go directly to those who decide your pay, benefits, and working conditions (the Legislature and the Governor) to work on resolving issues. We are a lobbying organization. So the stronger we are, the more we can accomplish for you. TSEA is not affiliated with any national or international organization that would have financial or administrative control over us. It is an association made up of Tennessee State Employees, working for Tennessee State Employees. We also make no distinction between supervisory and non-supervisory employees. We believe all state employees are in the same boat and everyone needs to be rowing. Q. When does my membership become effective? How will I know? A. Membership becomes effective when the application is received in the TSEA Office. New Members are sent a full Membership Welcome Packet with their membership card and information about TSEA’s services as well as our Advantage Program within 2 weeks, typically before the first payroll deduction occurs. Contact the TSEA Office if you experience any delays with your Membership Welcome Packet. Q. Do I have to wait until after my probationary period before I can join TSEA? A. No. You can join at any time, even when you are in training/orientation and enjoy all the discounts and insurances. Q. Are part-time employees able join TSEA? A. Yes. Anyone that receives a state of Tennessee payroll check may join. TSEA passed legislation for part-time employees to receive benefits. Anyone that works 1450 hours for 24 month period qualifies for longevity and 1600 hours for 24 month period for insurance. Q. I joined TSEA. When will my dues deduction start? A. TSEA sends to F&A a dues deduction list on the 1st day of each month for payment of dues on the 15th of that same month. For all applications not received by the last day of a month to submit on the 1st day of the following month, they are processed and submitted for deduction the month following. Example 1: Application is received January 21, 2016. February 1, 2016 TSEA sends file to F&A for processing. Dues deduction made February 15, 2016. Example 2: Application is received February 3, 2016. March 1, 2016 TSEA sends file to F&A for processing. Dues deduction made March 15, 2016. Q. Do I have to attend chapter meetings? A. While attendance is not a requirement for membership, we certainly encourage members to attend as many meetings as their schedule allows, as well as other association events, to be involved and kept in the loop on everything TSEA is doing for state employees. There are many volunteer opportunities both legislatively and in your community, as well as informative guest speakers in attendance, so attending chapter meetings will always be worthwhile if your schedule permits. Q. Can I drop my membership at anytime? A. Yes, upon sending written notice to TSEA. Q. Can the TSEA staff attorney represent me regarding a legal matter that is not state employment related, e.g. divorce, criminal charges, bankruptcy, etc.? A. No. TSEA legal representation is limited to representation, pursuant to TSEA Employee Rights guidelines, for employee grievances/appeals that arise out of disciplinary action taken against the employee. TSEA does not provide pre-paid legal services. Q. I am not a TSEA member, but I have requested a Step I, or initial hearing, regarding the discipline my department has taken against me. Can TSEA provide me with some guidance about the hearing or some instructions about what do at the hearing? A. Yes. 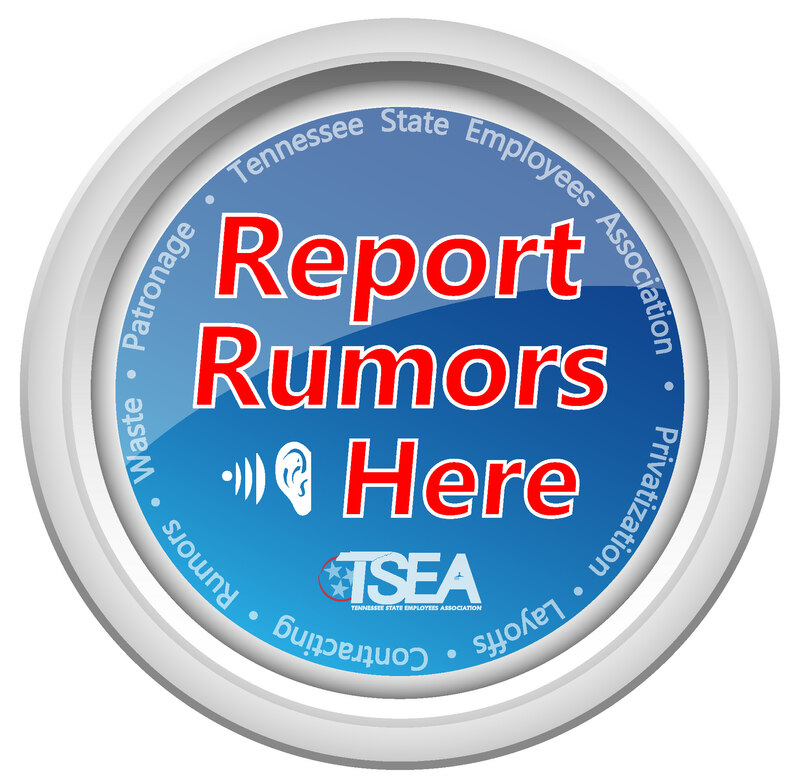 A representative from the TSEA Employee Rights division may be able to provide guidance and/or information about the hearing to the non-member on a one-time, limited basis, if the representative has the time to do so. This session is usually conducted by telephone and very short in duration. Q. I am a TSEA member and want legal representation at my Step III hearing before an administrative law judge. Am I required to use the TSEA staff attorney to represent me? A. No. You may represent yourself or retain a private attorney to represent you at the Step III hearing. You should expect a private attorney to charge you an hourly fee in the range of $200.00/hour for both in-court and out-of-court work. The attorney will likely require a retainer of at least $2,000.00 prior to beginning to beginning work on your case. Q. If I have problems with an insurance claim that isn’t paid, how could TSEA help me? A. Compensation and Benefits staff gather information from you supporting the fact that you followed procedures required by your insurance plan. They will contact the insurance carrier to find out why the claim wasn’t paid and see that any errors are corrected or missing information is provided so your claim can be processed. Q. I am ill and cannot work for a period of time. I’m afraid I will lose my job. Is there anything TSEA can do to help me? A. As a member of TSEA, compensation and benefits staff ask you for information about your employment history so they can research every option that may be available to protect your job, pay, and benefits. They can help relieve you of stress so you can recuperate and return to work. Q. When I have questions about retirement and need some direction and help from someone who knows the process, can TSEA offer any assistance? A. Yes, TSEA can help you prepare plenty ahead of time for this significant transition. Staff can assist you with the forms you will need, identifying decisions you will have to make, and help you through the process from beginning to end. TSEA Advantage Program – Insurances, Movie Tickets, Discounts, and more! Q. Do I have to join and buy insurances all at one time or can I join and purchase insurances as I can afford them? A. Upon joining TSEA, you have an option of enrollment in the insurance plans you choose. Enrollment periods and insurance promotional offers may vary from plan to plan, but you are not obligated to purchase any plans at any time. Q. I joined TSEA and enrolled in a TSEA benefit plan at the same time, when will my premium deductions begin? A. Your TSEA deduction must occur first. If your TSEA dues deduction begins on February 15th, then your benefit premium should start March 15th. Q. I am a member working in higher education, can I purchase a computer thru Purchasing Power and have it payroll deducted from my paycheck? A. No. At this time, the payroll deduction for TSEA benefit plans is only available through processing by Finance & Administration for central government employees. Q. I want to apply for a TSEA scholarship, but my child won two years ago. Can we apply again? A. No, TSEA scholarships are one-time awards. Q. I wish to purchase movie tickets. Can I use my debit card over the telephone? A. No. At this time, we only accept money orders for all ticket purchases either in-person or through mail. If a member sends a money order, we will mail their tickets to them on the same day their request is received at TSEA. Q. If I need to apply for Unemployment Benefits how may I do so? Q. How may I apply for SNAP, or Food Benefits during a time of need? Q. If I am experiencing a time of crisis are there any more community resources which may be of help to me?